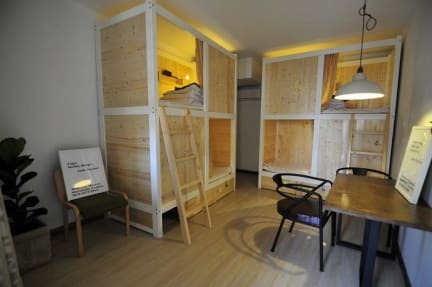 We locate in the center of Xiamen city, here you will be able to relax in the best atmosphere and get a good night's sleep on our very comfortable custom made beds, to find Xiamens most important attractions all within walking distance - don't waste time and money with transportation! Travelling alone? No worries, you'll meet lots of people at our events and in cosy common room and we dedicate to create a cozy and warm atmosphere which can make you feeling like home. 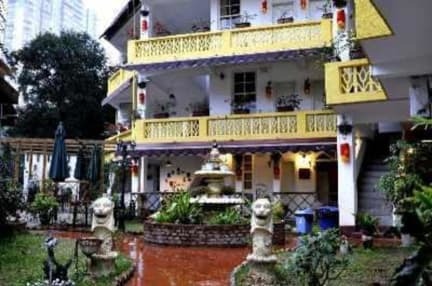 Book now for the most comfortable stay in Xiamen and we looking forward seeing you guys soon. Amazing experience! Staff was extremely helpful, fun and genuine. Couldn't have asked for a better time. We will be back again! Great hostel. I loved the location, and the staff was really kind and helpful. The room fit me well, and there were curtains for more privacy in the bunks. I didn't see any lockers in the dorm room, but I felt completely safe with my belongings. They do have small drawers for each guest that can be paired with your personal padlock. There is a small cafe adjacent to the hostel. The sinks are in open air, and the toilets and showers are only two apiece (or that I saw). Great guests, awesome stay! Not bad, just a bit of lacking people staying at this time of the year, but the gardens are great!! Really cool hostel. The location was great and the vibe is nice. The outdoor area is beautiful and the sleeping arrangement in the dorms was awesome (curtain, light, power). The gentleman at the front desk was quite rude upon our arrival. But maybe he was having a bad day- because we had a nice long conversation the next day and he recommended some cool spots for us to check out. I would stay again for sure. I enjoyed this hostel so much, I actually extended my stay to 6 days. Nicholas is really great and his English makes for really easy communication. The beds also gave a lot of privacy! Location is good, hostel is near the sea. Hostel is very cozy and I liked the room very much. There is everything you need even curtains over the bed for some privacy. I enjoyed the outdoor seating area. Good privacy in dorm rooms, and those were pretty roomy. The shared desk was a nice addition to the space, and helpful for repacking. Friendly staff. Bare concrete surfaces outside tended to make everything feel a bit gritty. It's a bit of a walk to and from the bathroom, although there as never a line for the facilities. Indoor common area felt cramped. A lot of things could be improved like hygiene but the staffs are already very nice!